At first only nature existed. Plains, forests, and mountains stretching as far as the eye could see. It was the continent of Celitrem, and it was truly a sight to behold. The unspoiled wilderness was ripe with all manners of creatures unimaginable, intricate food chains the only structure involved in this true wild time. On the day that began Year 1 in the First Age, the Elves arrived upon a small fleet of vessels; fleeing their homeland which had fallen from darkness, they quickly established a powerful society of their own. This solitary Elven society thrived for centuries, amassing thousands of books of knowledge, as well as solving multiple of the most pressing issues that would fall upon future civilizations. The Elven scholars, during this time, discovered massive amounts of a material they began to call ‘mana’, hidden within the very fibers of the continent they had become to call home. The material was studied in tested with dozens upon dozens of methods, until finally a shocking fact was discovered; the mana could be harnessed as energy, allowing the user to cast powerful spells. With this discovery, however, found that if you use overused the mana stored naturally in your body, you would burn up. Study for furthering the magical knowledge spanned multiple decades, bringing with them more and more complex spells. In the year 672, the mountains of Celitrem were host to the first Dwarves of the continent. With this new, intriguing race came even more knowledge, along with a much higher skill and crafting, and bounds of foreign minerals from their mines. Both sides were peaceful, becoming allies of sorts, which resulted in both flourishing through a magnificent golden age. Mages on both sides worked together, delving deeper and deeper into their craft with a power hungry fervor. Blinded by the power they so coveted, they delved into the darker side far later than they had planned upon. The moment they realized their mistake, leaps and bounds were taken to try to reverse the effect. The damage was done, however, and dark magic flourished throughout the cities. Elves and Dwarves, alike, were corrupted, both mind and body changed for the worse. The corrupted Elves turned into the foul Orc, and the corrupted Dwarves became the Goblins. Both the Orcs and Goblins fled into the mountains and wilds, leaving the Elves and the Dwarves to begin to rebuild themselves. The latter felt themselves to be rid of the issue, leaving their guard down; however, the Orcs and Goblins returned with numbers that had multiplied and laid siege on the cities. The war raged for decades, although it was halted in a stalemate. Lines were drawn, and both sides suffered through drastic tragedies in terms of casualties, even though neither was making moves towards victory. In the year 1003, the humans arrived. Instead of building themselves up, they settled within the ruins of an old Elven city that was far from the front lines of war. It took the Elves a decade to find the humans and acquire their aid in their war. With the humans on the side of the Elves and Dwarves, the stalemate was broken after nearly another century of war. The Orcs and Goblins had been beaten, and fled far from the cities. Without the war ravaging through the lands, the Elves, Dwarves, and humans began to thrive; their utter flourishment was the reason for the name ‘The Age of Prosperity’ for these years. Cities were rebuilt from their gloomy ruins, kingdoms established, and the lands began to recover. Throughout it all, Orcs and Goblins were still feared and watched for, and forces always kept prepared for conflict. New species arrived from far lands, the continent was revitalized, wealth was plentiful, and trade occurred in abundance; it was the Golden Age. 1)No Hacking of any sort, no clients or fly mods. 2)No Griefing (War Rules changee this), otherwise none at all. 3)Keep cursing to a Teen level. 4)Don't be hating on people, Rp hate is allowed but no OOC hate, be nice, mature, and try to get along with everyone. 5)No MetaGaming of any sort. This is a bannable offence. 5)No PowerGaming, same as MetaGaming, it is a Bannable offence. 7)No building Towns without speakin to Ranger. 8)Keep your chats organized, don't be Rping in the OOC chat. Settler: This is the basic rank all players start at. successfully completing a forum application or through an in-game class. of roleplay and the terms associated with it. 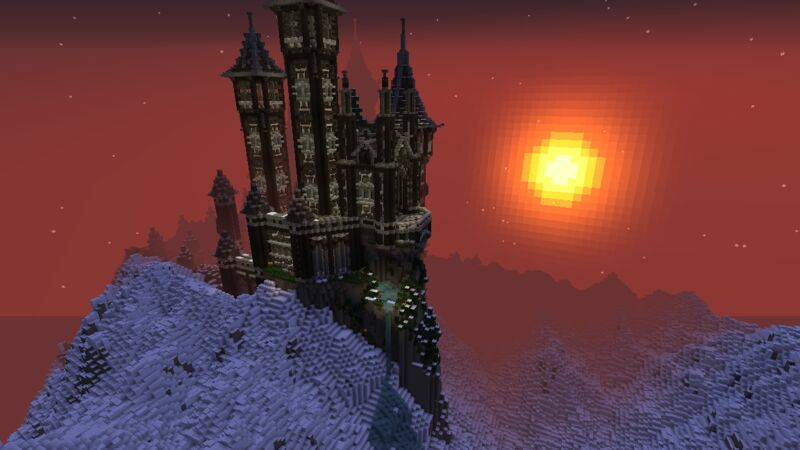 the rules and lore of the server, and can create powerful roleplay. which to teach their skill. story lines, and meets the requirements of a trainer. skill just like trainers, but have more experience in it. trainer extensively and are known across the server. completing a forum application or through an in-game class.